I’m an open book when it comes to things that I like and don’t like. You know that I don’t turn down much of anything if it includes peanut butter. Especially if it’s a cookie… That also includes chocolate… And salty pretzels. 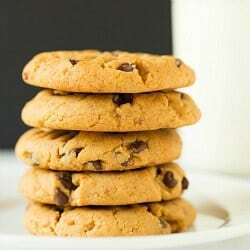 For as often as I make chocolate chip cookies, I feel like I neglect peanut butter cookies a bit. While I can never get enough of peanut butter, those cookies are something I never think about making except during the holidays. What a travesty! After making these cookies, I’m vowing to never let more than two months pass before making a batch of peanut butter cookies again. They’re too good to ignore! I played around with the ingredients a little bit and made my first batch of cookies. Those turned out a little on the mushy side, so I did more tweaking and ended up adapting my very favorite classic peanut butter cookie recipe. The end result was perfect; everyone who tasted them couldn’t get enough. We kept grabbing cookie after cookie… needless to say, they didn’t last very long! These cookies are everything fabulous about the combination of pretzels, peanut butter and chocolate. If you’ve ever enjoyed a bowl of Chubby Hubby ice cream, you know how absolutely delicious it is. 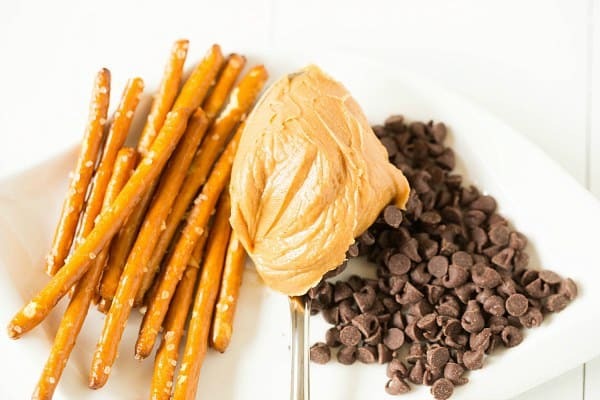 The combination of creamy peanut butter, the salty pretzels and sweet chocolate chips is heaven. I admit to taking a spoonful of peanut butter, crushing some pretzels on top, sprinkling on chocolate chips and calling it dessert. Perfectly acceptable, right? 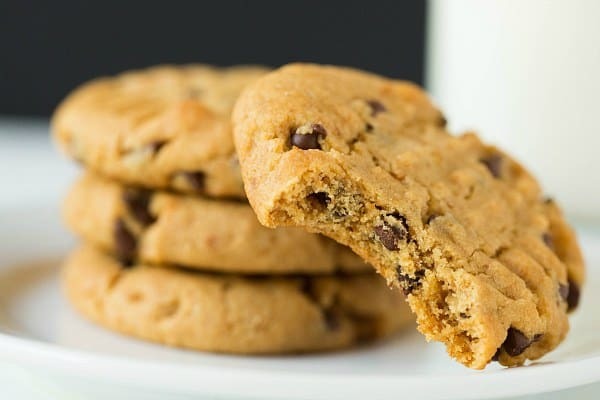 If you love the combination of salty and sweet with a touch of chocolate, you won’t be able to resist these cookies! 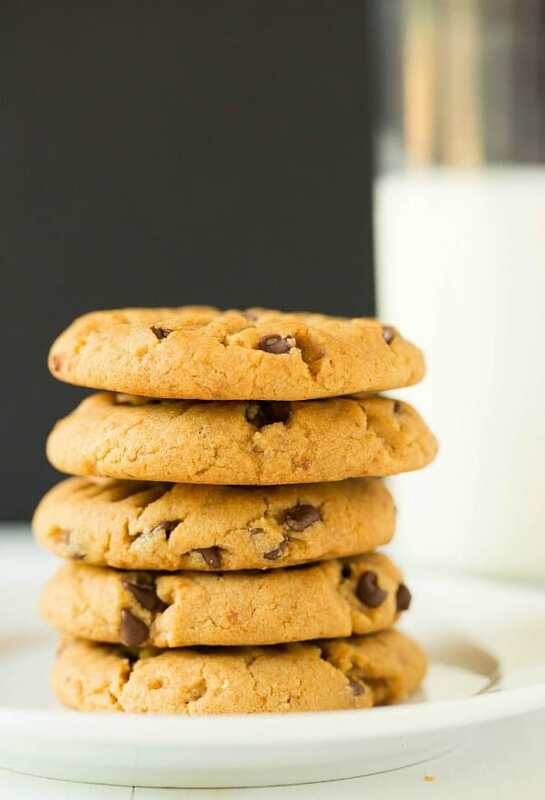 Fabulous chewy peanut butter cookies, loaded with pretzel crumbs and chocolate chips. Preheat oven to 375°. Line baking sheets with parchment or a silicone baking mat. Whisk together the flour, crushed pretzels, baking soda and salt in a small bowl and set aside. Combine the brown sugar, peanut butter, shortening, milk and vanilla in a mixing bowl. Beat at medium speed until well blended. Add the egg and beat just until blended. Reduce speed to low and add the flour mixture gradually, mixing just until combined. Using a rubber spatula, stir in the chocolate chips. Use a medium cookie scoop (or 2 tablespoons) to scoop dough and roll into a ball between the palms of your hands. Place on the baking sheets, about 2 inches apart. 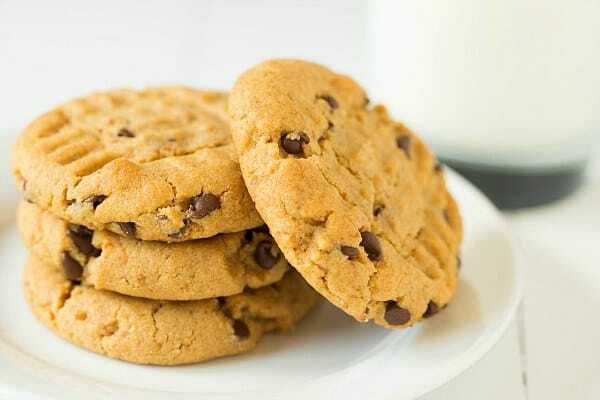 Dip the tines of a fork into a cup of water and make a crisscross patern on the cookies, flattening them slightly. Repeat dipping the fork in water as necessary if it starts to stick to the dough (I did it every few cookies). Bake for 8 minutes or until set and beginning to brown around the edges. Cool for 2 minutes on the baking sheet before removing to a cooling rack. Store in an airtight container at room temperature for up to a week. Hi Maria, A common egg substitute is applesauce, but I have no idea how that would work in this recipe, as I haven’t tried it. Likewise, I haven’t tried playing around with a traditional shortbread. If you give it a try, let me know how it goes! I’ve made these several times and LOVE them! I substituted butter for the shortening and it worked out well. I also decreased the milk by 1 tbl. They’re delicious and always a big hit. Thanks for the great recipe! I was searching for different cookies for my nephew’s wedding cookie table. I made these for a trial run and they are AWESOME! They are now my son’s favorite cookie I make. I am a Pittsburgher also so I got to get my bake on for the wedding. Have you ever doubled this recipe? Any hints? It sounds great, but 2.5 dozen cookies doesn’t seem like enough – I’m thinking of bringing them to a party, but I’ll need to leave some at home for my family, and then I’d love to freeze some. Hi Lynne, Yes, you can definitely double this recipe. Enjoy!